Readers who held out hope that the son of Anne Rice would eventually find his way to the dark side will rejoice over his latest novel, The Heavens Rise (Gallery Books). Those lamenting the time it took him to get here shouldn’t because the years Christopher Rice spent sharpening his literary teeth over the course of five New York Times bestselling thrillers was time well spent indeed. The industrious hours Rice has logged churning out plot-driven thrillers – from his auspicious debut with A Density of Souls and its Lambda Award-winning follow-up The Snow Garden to his last, The Moonlit Earth–have enabled him to hit the ground running in the family genre. Although the marketing forces behind The Heaven Rise will insist upon it being called supernatural suspense, make no mistake, Rice has indeed penned a work of horror. And the resulting novel is as dark and delicious as anything written by the veterans whose ranks he’s on the cusp of joining. 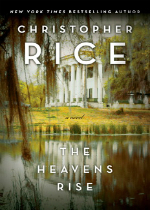 For The Heavens Rise, Rice wisely returns to the New Orleans setting of his first novel, one that’s as familiar to him as it is endeared. It’s here amid the moss-draped cypress trees and mosquito-infested swamps of the bayou that the DeLongpre family is building an unlikely architectural oasis, fittingly dubbed Elysium. With nods to the environmental thriller sub-genre, the horror at the center of The Heavens Rise comes from the murky waters beneath the swamp on which Elysium is built, parasitic pool-dwellers that give its host mind-controlling powers. How the various characters populating The Heavens Rise harvest those powers is what separates the good from the evil and propels much of the supernatural-laced suspense. Here we have high school sweethearts, Nikki DeLongpre and Anthem Landry, Nikki’s longtime gay best friend, Ben Broyard, and, outlying the fringes of this trio, a nefarious trust fund brat named Marshall Ferriot who harbors some seriously twisted lusting for Miss DeLongpre. Ferriot is the necessary catalyst to bring the novel to its horror-sloped cliff – one that he and Nikki plunge over with different outcomes. One disappears into a self-imposed exile to understand the workings of this new and terrifying power; the other carves a bloody body count as a means to exact revenge after over a decade in waiting. Rice also circles back somewhat to a character configuration that worked so well for him in his first two novels, less so in the last two. He focuses on a quartet of young friends and their long, complicated relationships with one another to drive the emotional impact of The Heavens Rise, and it’s a welcome return to form for him. Although he’s attempted to achieve the same emotional resonance between main characters who are siblings (The Moonlit Earth) and strangers-turned-reluctant allies (Blind Fall), it’s been the interpersonal and sexual dynamics between longtime friends in works like A Density of Souls and The Snow Garden that have proved more authentic. Imagery is strong throughout, with much slithering, head implosions, and grotesque metamorphoses to keep even the most jaded horror enthusiast blissfully repulsed. 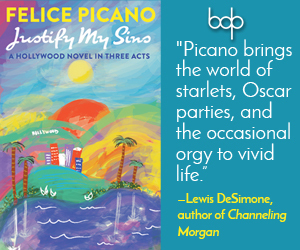 Rice shifts narratives effortlessly between the main characters – and even the minor character of Marissa, Ben’s newspaper editor-boss and friend–to good effect. He even employs a first-person journal narrative that helps with the novel’s jumps back and forth between time and serves as a tidy framing device for his story. Readers may be left feeling somewhat unsatiated by the unresolved underlying sexual tension between Ben and Anthem and, unlike the author’s decidedly more salacious first three novels, there’s nary a sexual tryst or twist to be found. 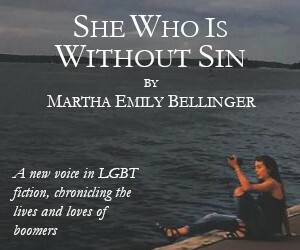 Even a sequence involving a Grindr hookup gone badly here suffers from an almost palpable restraint on the author’s part–a premature rejection, if you will. The Heavens Rise is a flawlessly paced book, clearly the lucky recipient of Rice’s aforementioned hours crafting skillfully plotted thrillers. The tension ratchets up in tandem with the novel’s myriad twists and turns, which are so intricately laid out that you eventually relinquish any propensity to guess ahead and surrender yourself to Rice’s capable storytelling hands completely. Even when he dips dangerously close to cheesy B-movie territory with his descriptions of the transmogrification between human beings and their externalized nightmares, the proceedings are so germane to the story and the sequence of events so logical that it’s easy to overlook the Grand Guignol flamboyance of the novel’s third act with the requisite suspension of disbelief. Christopher Rice has hit the ground running with his first foray into the horror market. The Heavens Rise brims with believable, three-dimensional characters, a setting that drips mood and atmosphere, and enough essential creepiness to keep your eyes wide late into the witching hour itself.